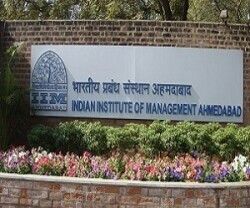 After receiving umpteen number of applications, the Indian Institute of Management Ahmedabad (IIMA) is planning to increase the number of MBA course seats. The IIMA has reportedly sent a proposal to the government seeking permisiion to increase MBA course seats from 860 to 1200. According to proposal submitted to the government, the 400 seats would be added to the post-graduate programme for executives (PGPEX), fellow programmes and other similar programmes. “IIMs are willing to expand and have submitted their proposals to the ministry last year. It is much more practical to strengthen the existing IIMs that are already a brand name rather than concentrating on constructing new ones,” a HRD Ministry official said.